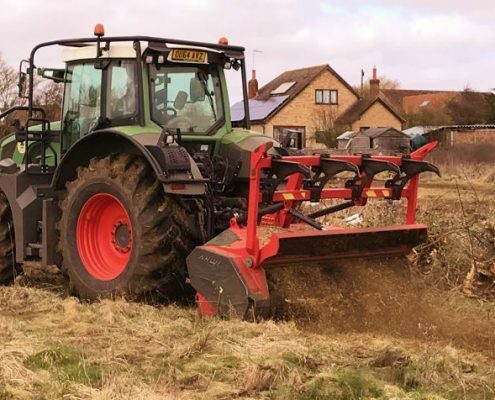 We offer a selection of Tier 4 emission compliant tractors with forestry and agricultural attachments available for construction or land mitigation works. Attachments include mulchers, mowers, hedge trimmers, water suction tank, harrows, dump trailers, grain trailers, timber trailers, etc. 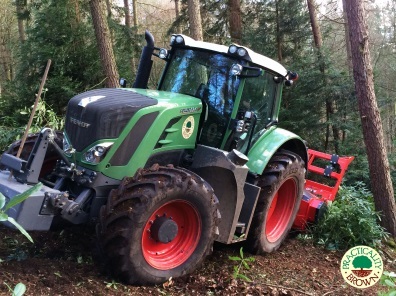 Our Fendt 824 tier 4 compliant forestry tractor is excellent at dealing with brash reduction, processing small trees, stumps and scrub such as rhododendron, gorse and thorn. 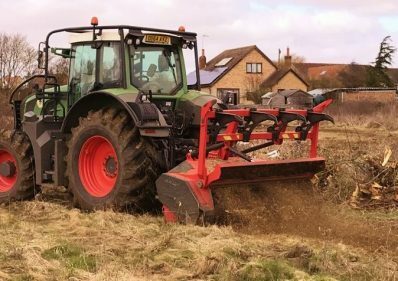 When using the Teagle heavy duty flail mower, the tractor can clear approximately 4 hectares of grass, dense scrub and small trees up to 10 cm in diameter per day, leaving an intensely mulched finish. 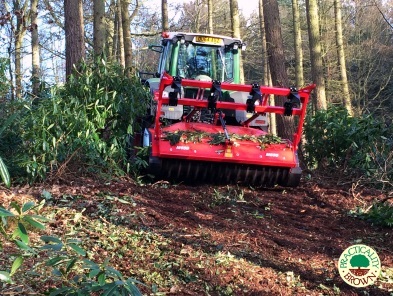 Fitted with 50 Km rated forestry tyres it has the ability to drive between multiple sites during the working day. 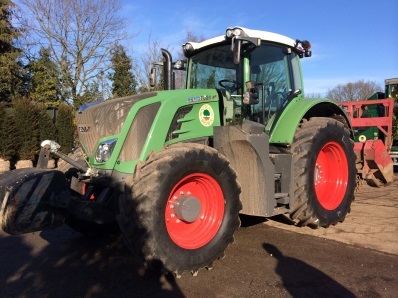 This tractor is an efficient, technologically advanced, low emission machine. Conformity: ROPS & FPOS protection, forestry guarding, forestry tyres and reverse drive. Fitted with Tier 4 compliant engine. Tractor has regular PUWER inspections and operators available with CPCS or NPORS or FMOC certification.